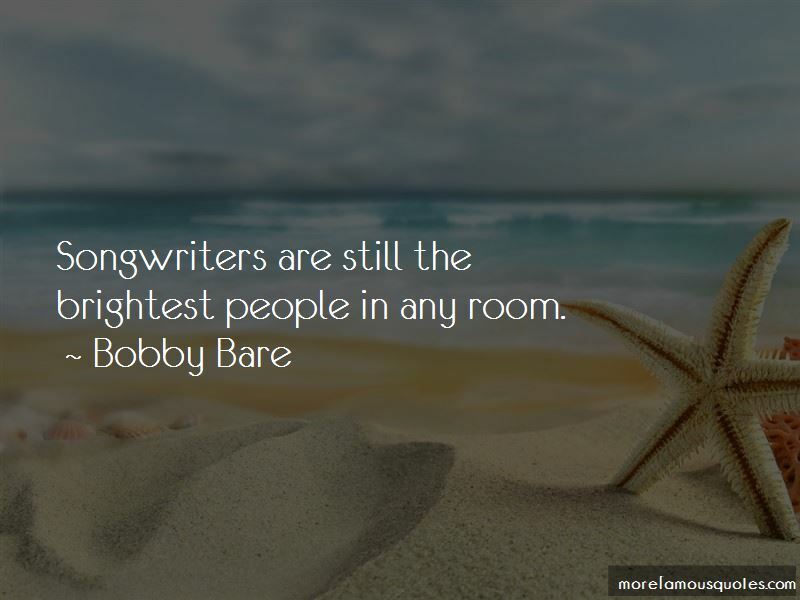 Enjoy the top 7 famous quotes, sayings and quotations by Bobby Bare. 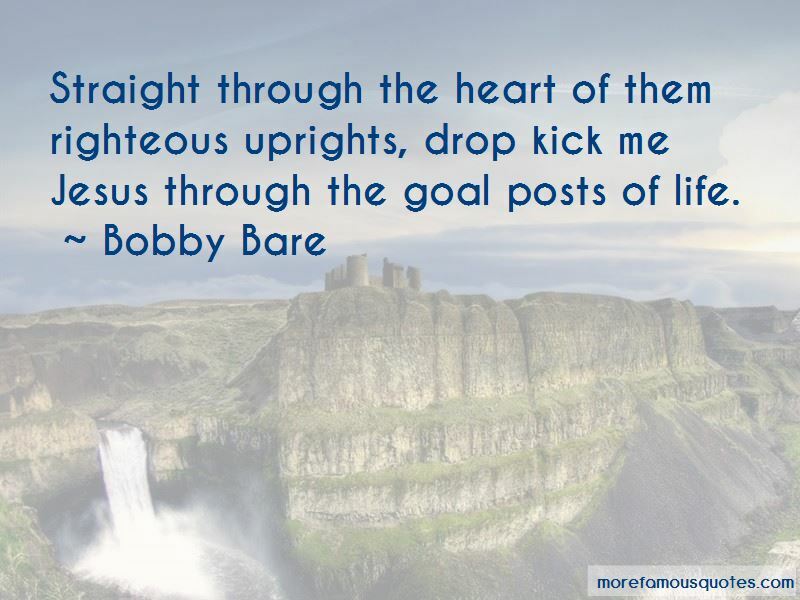 Straight through the heart of them righteous uprights, drop kick me Jesus through the goal posts of life. I flashed her a smile, but she didn't even look at me. So for brains and good judgment, I'd give her a three. I bought me a guitar about a year ago, learned how to play in a day or so. Songwriters are still the brightest people in any room. Take this rifle, kid. Gimme that guitar. 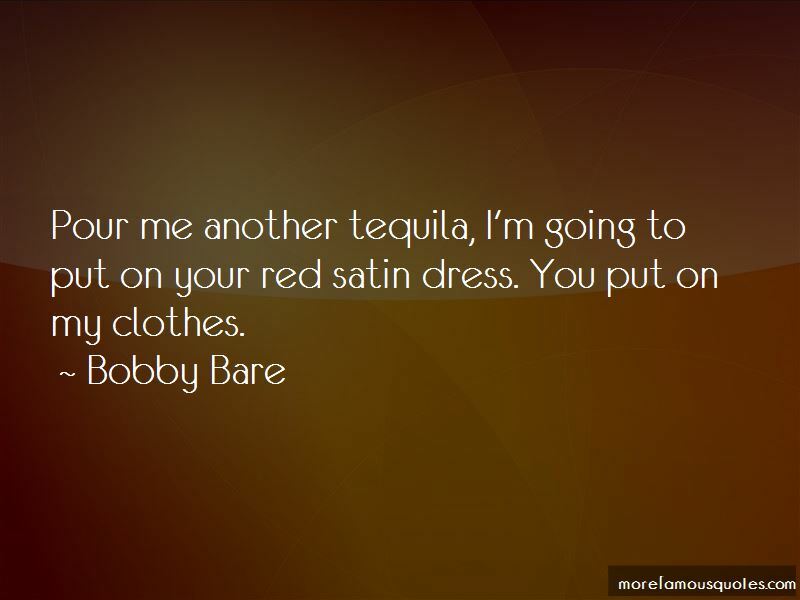 Want to see more pictures of Bobby Bare quotes? Click on image of Bobby Bare quotes to view full size.